OnThePage® with Pilar Alessandra | Get it out of your head ... and On the Page. New & Updated, 2nd Edition! You DO have time to write your screenplay! 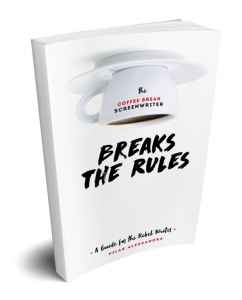 Write a screenplay without quitting your job or leaving your family. 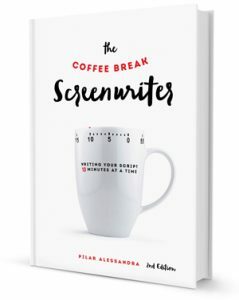 Packed with more than sixty ten-minute writing tools, The Coffee Break Screenwriter keeps it focused and simple.